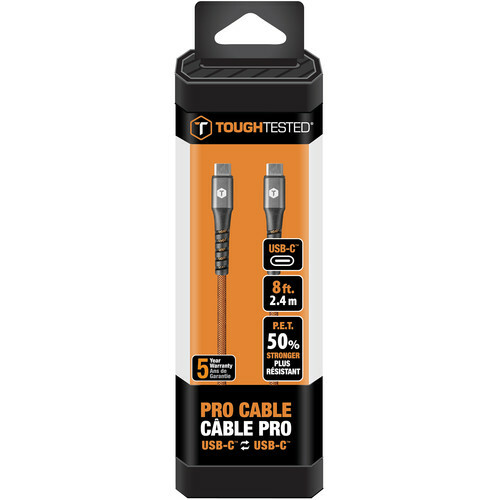 Sync and charge your USB devices with the PRO USB Type-C to USB Type-C Cable from ToughTested. This 8' cable features a durable polymer woven jacket that's chemical-, heat-, and abrasion-resistant. Slim aluminum-rubber composite tips are designed to fit most phone cases, while up to 3A current capacity helps to ensure fast charging. Box Dimensions (LxWxH) 7.9 x 2.3 x 1.4"